Mace and Burton bring their award-winning 5-star show to the Adelaide Fringe 2014 for its Australian premiere. Join Lizzy Mace and Juliette Burton as they try talking to coma patients (While You Were Sleeping), standing on street corners (Pretty Woman) and going on dates with guys whose paddling pools they used to play in (Bridget Jones’s Diary) – all in an attempt to find The One. 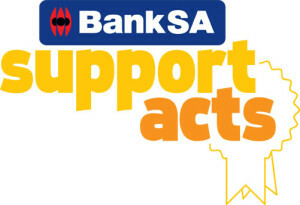 I am pleased to announce that both Overlooked and Rom Com Con have been selected for the BankSA Support Act scheme which helps get more people to see emerging artists through subsidised tickets on opening night and help with publicity. Yay! So grab those opening night tickets while you can! Read more about Rom Com Con including previous performances and reviews on the Mace and Burton website.